The twelve day countdown has begun people! I repeat 12 DAYS UNTIL CHRISTMAS!!! Haven’t finished (begun) your shopping? Still haven’t decided on your Christmas day plans? Stressing out? Have some wine. You’ll be fine. 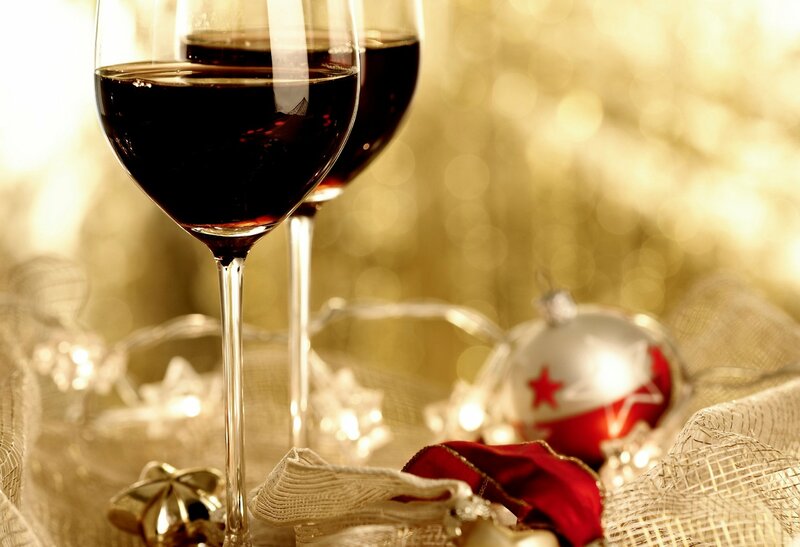 Check out which of our wines can get you through the holidays. On the First Day of Christmas my true love gave to me, a Sparkling Prosecco in a Pear Tree! Try our Borgo del Col Alto Prosecco. It’s bright, bubbly & delicious! 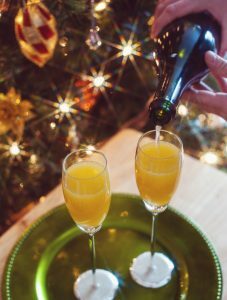 Great for mimosas on Christmas morning. Don’t forget to throw the Pillsbury cinnamon buns in the oven and enjoy! On the Second Day of Christmas my true love gave to me, two Pinot Noirs, and a Sparking in a Pear Tree! Wicked velvety with black cherry color and aromas of black currants and plum. Try it with the Chinese food you ordered late Christmas night or the day after. 6 more days until your diet starts. On the Third Day of Christmas my true love gave to me, three Merlots, two Pinot Noirs, and a Sparking in a Pear Tree! A wicked soft and lush Merlot, jammed with flavors of plums, black cherry, and caramel. Have a glass with the Ham you’re having for Christmas Dinner. Drink up! On the Fourth Day of Christmas my true love gave to me, four Chardonnay, three Merlots, two Pinot Noirs, and a Sparking in a Pear Tree! Unoaked with flavors of tropical pineapple and peach. 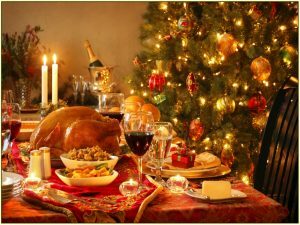 Have a glass if you’re having turkey at Christmas Dinner (if you aren’t full from the ham. You can do this). On the Fifth Day of Christmas my true love gave to me, five Moscatoooooos, four Chardonnay, three Merlots, two Pinot Noirs, and a Sparking in a Pear Tree! Wicked packed with flavors of honey, sweet cantaloupe and apricots. Save this for the cannoli’s Uncle Steve brought from Mike’s Pastries! On the Sixth Day of Christmas my true love gave to me, six Tempranillo, five Moscatoooooos, four Chardonnay, three Merlots, two Pinot Noirs, and a Sparking in a Pear Tree! Smooth and lush with hints blackberry. 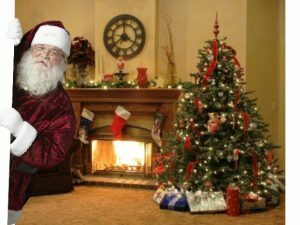 Have this before bed on Christmas Eve, maybe with some cheese and crackers, or the cookies you’ll be leaving out for Santa. This should help you fall asleep early, he knows when you are sleeping! On the Seventh Day of Christmas my true love gave to me, seven Pinot Grigio, six Tempranillo, five Moscatoooooos, four Chardonnay, three Merlots, two Pinot Noirs, and a Sparking in a Pear Tree! Fresh, bright and packed with intense citrus, green apple, yellow pear and lemongrass. Have it with the fresh fish chowder your Grandmother serves on Christmas Eve. On the Eighth Day of Christmas my true love gave to me, eight Cabernet, seven Pinot Grigio, six Tempranillo, five Moscatoooooos, four Chardonnay, three Merlots, two Pinot Noirs, and a Sparking in a Pear Tree! Ripe and Rich. Does your family serve meatballs and lasagna on Christmas like mine does? Well if they don’t, make sure to suggest it pair it with a glass of our Wicked Cab Sauv! On the Ninth Day of Christmas, my true love gave to me, nine Silky Sheraz, eight Cab Sauvignon, seven Pinot Grigio, six Tempranillo, five Moscatoooooos, four Chardonnay, three Merlots, two Pinot Noirs, and a Sparking in a Pear Tree! Smooth and easy to drink, with flamboyant aromas of pepper, spices, chocolate and black plum. Serve it with a meat and cheese plate before Christmas Dinner. Don’t forget, appetizers are the most important part. Make sure you have a buzz to wash away any hunger you may be feeling until the real meal begins. On the Tenth Day of Christmas, my true love gave to me, ten Juicy Grenache, nine Silky Sheraz, eight Cab Sauvignon, seven Pinot Grigio, six Tempranillo, five Moscatoooooos, four Chardonnay, three Merlots, two Pinot Noirs, and a Sparking in a Pear Tree! Juicy with lush red fruit flavors, it will go great with almost anything at the Christmas Dinner table. I mean anything. So fill up your plate! On the Eleventh Day of Christmas my true love gave to me, eleven Sauvignon Blanc, ten Juicy Grenache, nine Silky Sheraz, eight Cab Sauvignon, seven Pinot Grigio, six Tempranillo, five Moscatoooooos, four Chardonnay, three Merlots, two Pinot Noirs, and a Sparking in a Pear Tree! Grassy, crisp and tangy, with a blast of quenching grapefruit and melon flavors. This pairs well with salad and vegetables. If you’re getting a jumpstart on your New Years diet and boycotting all dishes that aren’t green at Christmas Dinner, pair this with the antipasto salad your mom made. Don’t those mashed potatoes look good though? On the Twelfth Day of Christmas my true love gave to me, twelve bottles of Rosé, eleven Sauvignon Blanc, ten Juicy Grenache, nine Silky Sheraz, eight Cab Sauvignon, seven Pinot Grigio, six Tempranillo, five Moscatoooooos, four Chardonnay, three Merlots, two Pinot Noirs, and a Sparking in a Pear Tree! Bring this to your company’s holiday party. You know there will be an overload of chocolate, pastries, pie and cake, and what better to pear sweets with than Rosé. Better yet, take a plate of the sweets home and open a bottle of Wicked Rosé on your couch, turn on Love Actually and call it a night. I highly suggest trying all of these in the next twelve days, whether you’re at a holiday party, your parents, or just hanging out watching a Christmas movie. All of these wines make a great stocking stuffer, a last minute addition to a gift basket, or just to bring to the host (great for your wallet, too). Happy Holidays, hang in there! This entry was posted in Wine and tagged christmas, Wicked Wine, Wine. Bookmark the permalink.